Vast quantities of gas are wasted each day through flaring at oil production sites – but it will be hard to meet a 2030 target to end the practice. LONDON, 16 February, 2015 ? It’s like burning banknotes. Latest statistics from the World Bank (WB) indicate that the amount of gas flared each year is enough energy to supply electricity to several small countries or many millions of households. The flaring of 140 billion cubic metres (bcm) a year releases large quantities of greenhouse gases into the atmosphere – and that is not only bad news for the climate, but also for human health. The WB estimates that flaring results in total annual global carbon dioxide emissions of 350 million tones. Eliminating the burning of gas at hundreds of oil production sites round the world would be the equivalent, in terms of emissions savings, of taking 70 million cars off the road. Flared gas is often contaminated with toxic compounds and cancer causing carcinogens such as benzene. And in Nigeria’s Niger Delta ? the country’s main oil production area and a region where flaring has been going on for several decades ? villagers complain of skin diseases and breathing problems. Flaring has other impacts. Those living near flaring sites in Nigeria say agricultural yields have dropped due to contamination of the land by acid rain. The toxic chemicals in the flared gases are also blamed for corroding the metal roofs of houses in the area. The process of flaring takes place when there are no facilities to harness the gas that is produced along with oil ? or when companies decide it is uneconomical to process and pipe the gas. The WB’s Global Gas Flaring Reduction Partnership (GGFR), launched in 2002, is a public-private initiative aimed at halting routine gas flaring by 2030. The idea is to persuade the oil companies and state-run petroleum organisations to work together to reduce flaring at oil drilling sites. 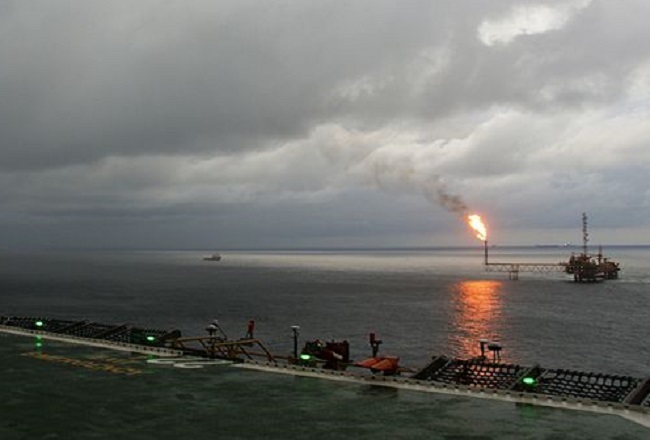 Anita Marangoly George, senior director of the WB’s energy and extractive global practice group, told a recent conference on flaring in Moscow that it was time the practice was stopped. The WB says its initiative is showing results. Satellite data indicates that flaring dropped worldwide by 20% between 2005 and 2012. But much still needs to be done. According to the WB, the Russian Federation is at present by far the world’s largest flarer, annually burning off an estimated 35bcm of gas – or 25% of the global total. Other big flaring nations are Nigeria, Iraq, Iran, Algeria and Venezuela. The recent rapid expansion of shale oil and gas exploration in the US has resulted in the country joining the league of big gas burners, and the flares from hundreds of shale oil and gas sites in the state of North Dakota can be seen from space. Although Russia claims to be rapidly reducing its flaring and harnessing more of its gas for energy, the situation in Nigeria continues to be problematic. Oil corporations such as Shell, Chevron and the Italian Eni group have been given repeated deadlines by the Nigerian government to end flaring at their operations in the Niger Delta, but the flaring continues. Shell in particular has been criticised for its activities. Last month, the Anglo-Dutch giant announced it would be paying out £55 million to farmers and fishermen in the Delta area incompensation for two large oil spills. The Nigerian National Petroleum Company, which partners foreign oil corporations, is blamed for refusing to take action to end flaring. In the past, fines that have been imposed on flaring by the Nigerian government are said to have been inadequate or often not collected. Questions are now being asked as to why the government has abruptly cancelled levying flaring fines. Shell and other international companies say they are taking action to end flaring in Nigeria and elsewhere. In 2012, Shell and its Nigerian government partner announced a $4billion spending programme on oil and gas projects, including a facility to capture gas and reduce flaring. But industry analysts point out that with the halving of oil prices in the last six months, oil companies are increasingly wary about embarking on big new investment projects.